“Truck drivers are noble people.” They are the guardians of the motoring public. This month, we are honoring 4 people who went out of their way to assist others. They set an example we all should follow. As you well remember, last month there were several bad thunderstorms making their way across the USA. On one of her trips during these storms, Amanda witnessed a passenger car lose control and wreck. Instead of driving by, Amanda safely pulled over her rig, got out, and checked on the other vehicle. She stayed with the driver until emergency services arrived. We admire Amanda for her compassion. 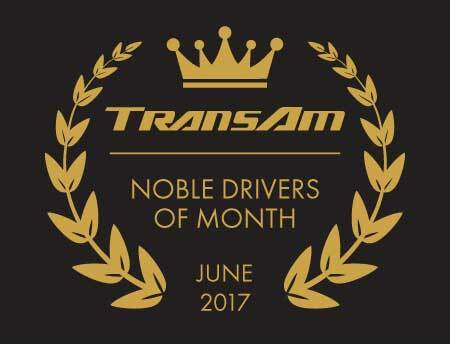 Thank you for choosing to drive for TransAm Trucking. Carl is no stranger to helping people. A few weeks ago, he did not hesitate to hand out his number to another driver with a promise to answer whenever the recipient needs help or advice. Carl wants others to succeed. Another example happened earlier last month when Carl helped a driver with her truck’s electrical issues. Carl walked her through the steps of reporting to Road Assist and taking care of the trailer. He also helped her with her Garmin. We appreciate his caring attitude. Thank you, Carl, for choosing TransAm Trucking. Richard has a great deal of respect for his job. He prides himself on delivering his loads on time, but his most telling trait is his dedication to his equipment. He is quick to inform his Driver Manager if anything goes wrong and often volunteers to drive trailers to repair shops. He wants TransAm to make the best possible impression. We are glad Richard always looks out for us. Thank you, Richard. A mentee’s first experience to the over-the-road lifestyle usually happens in a mentor’s truck. It is an awesome responsibility for the mentor and Kevin Engelking is more than up to challenge. Kevin provides his mentees with a sense of ease while still impressing upon them the seriousness of truck driving. He is accommodating and patient. Overall, Kevin’s main goal is to make his mentees comfortable with being over-the-road. We thank you, Kevin, for taking so many drivers under your wing. We are glad you choose to be part of our mentor program.